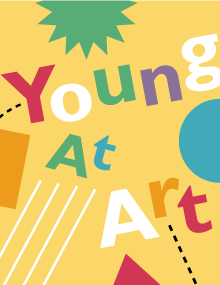 Young at Art showcases creative work from hundreds of regional students ages 18 and younger. Join us to see original artwork in a variety of media from oil, photography, sculpture, and mixed media. Submissions will come from all over New London County and Rhode Island, including group projects from area schools. The exhibit is part of Mystic Museum of Art’s commitment to fostering creativity in the community while bringing families together in a community space and encouraging the use of art to advance learning in the region’s schools.